Thank you Aaron, for taking the time to answer some questions for us. Can you tell us a little a bit about your background, and where it all started for you? My career in animation started pretty late compared to most. I had no idea what I wanted to do with my life while I attended university, and this confusion carried on for many years afterwards. I spent a while working in film production as a P.A; I sold ladies shoes, worked as a video store clerk for ages, and was an assistant wedding photographer. I'll never forget the day I discovered animation. I was 26 years old and sitting on a bus, thinking about how much money I had in my bank account (it was about 13 dollars), when I saw an advertisement on the bus wall. 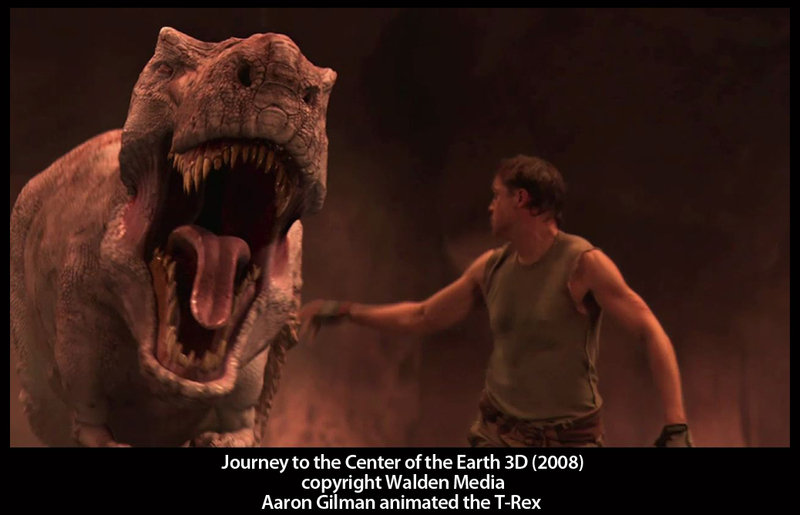 It was for the Vancouver Film School's 3D program and it had a picture of a CG dinosaur. That got me thinking, but it didn't truly seal the deal in my mind. A little later, I was visiting family in Montreal and went to see my sister at her new job. She was working in a VFX studio. I sat with a guy who showed me a CG model he was working on of a cool looking dragon. And that was it. I went back to Vancouver and enrolled in the 3D program. In about 2 months at VFS I was completely hooked on animation and knew that was what I was meant to do. Looking back, it's very easy to understand why animation goes so well with my personality, and yet it took me so long to find it. Growing up I had always had a passion for film, acting, photography and computers (my mom bought a Commodore 64 in the early 80's when I was about 12 years old). Animation was essentially the culmination of all of my interests. In another interview, you mentioned you studied philosophy before making the career switch to animation. Do you find that your past education in philosophy has benefited your development as an animator, and if so, how? Let's just say I wouldn't recommend aspiring animators go out and get a degree in philosophy. I chose to do philosophy because it was quite simply the only thing at the time I kind of liked. I knew while I was in the program at the University of British Columbia, that it would never amount to anything like a career. But epistemology and metaphysics were interesting subjects, and while I wanted to be a professional actor prior to going to university, I decided I loved money too much and wouldn't survive as a waiter with endless rejections. But all that said, philosophy has helped me enormously in my life, and in my animation career. Creating animation and working on complex shots within a very advanced pipeline is often more about problem solving than being a great artist. The VFX pipeline is very complicated, and you're constantly being barraged with technical issues, whether they be creature problems, complex constraint systems, or simply working out how you are going to build a crazy shot in the most efficient way. Philosophy concerns itself with problem solving, where arguing through an issue towards clarity is the end goal. Of course, in philosophy you never really achieve clarity. The arguing never ends and the issues never get sorted. It is the debate that is the source of the joy. But, in animation and VFX, finding a solution to the problem is the goal. As you become a Lead and Supervisor, being good at problem solving becomes even more critical to your success. Philosophy helped me with my problem solving abilities, and being able to rationalize my way through an issue, categorize and untangle technical messes, and ultimately achieve the final goal of completing the performance. Mixed in with all of that you must find room to be artistic. Juggling artistry and technical expertise is what makes a valuable and successful animator. draw upon to help you with that? Were there any challenges with animating an underwater shot? Animating realistic characters underwater is actually very forgiving. The reason for this is because the density of water makes everything more floaty, and the timing is therefore more even between actions. Animating realistic weight is always a challenge because the timing required to make it believable needs to be very specific, and being even a frame or two off can ruin the illusion. Most animators who have problems with weight tend to key the object too slow or soft, and you get this "man-on-the-moon" type of feeling. Floaty is usually the kiss of death for realistic animation, but this is not the case with swimming. Now that's not to say that swimming shots are easy. In my experience, most shots are never easy! You still need to design a believable performance, and the physicality of navigating through water needs to be mechanically correct. For this you need to research and reference, and understand how the body creates propulsion, changes direction, etc. For the Abe chase sequence, we had one primary source of reference, Patrick Duffy's Man from Atlantis. This was a very popular TV show in the late 70's, where Duffy played a man with webbed hands and feet who could breathe underwater. Duffy did all of his own underwater stunts, and he designed a very unique and dynamic swimming style. We used his movement as our main reference, paying very close attention to the circular actions he did with his arms. The other source of reference was video footage I shot of myself from various angles with the help of Tippett Studio's cameras and stage. Obviously, I couldn't recreate the underwater effect, but acting out the movement and getting it sent to my computer for analysis was very helpful. For a student animator who wants to get into creature animation, or even just develop realistic motion for their show reel, where would you recommend they start their learning? All learning should start in school. The program you're in should ideally have a Creature Component in the curriculum where you will be taught the do's and don't of realistic motion. The workflow of animating realistic performances varies in certain small, but fundamental ways than animating emotive cartoony characters. So first off, having teachers who can guide you through this process is critical. You hear this time and time again from professionals and teachers: reference is the single most important tool you can use to create realistic believable animation. It's also a staple question in interviews. "What reference did you use to support this performance?" You better know the answer to this. Not using reference almost invariably reflects negatively on the animation. Any Animation Supervisor worth their salt will look at your reel and know right away that the performance was created in a vacuum. Whether it be Youtube, BBC Motion Gallery, Animal Motion Show DVD's, footage you shot yourself, or any other direct or inspired representation of the performance, you must ground your work in believable content. I don't suggest using other animator's work as reference. Go to the source. And for those characters that are fictitious, like Banshees, Dragons, Demons, etc, use real world reference that captures the spirit of the creature. It may be Hyenas or Lions, Eagles, or Cats. It really is your bread and butter, and VFX studios rely on it every single day, and so should you. Adventures of Tintin, what excites you about animation today? And, where would you like to see the direction of animation head towards? Throughout most of my career, I have worked as a visual FX artist on live action films, where I'll animate a creature that gets digitally integrated into a live action environment. But since arriving at Weta, I have had the opportunity to work on entirely CG projects, where the artist has enormous amounts of creative control over the environments, the camera, and the performances. 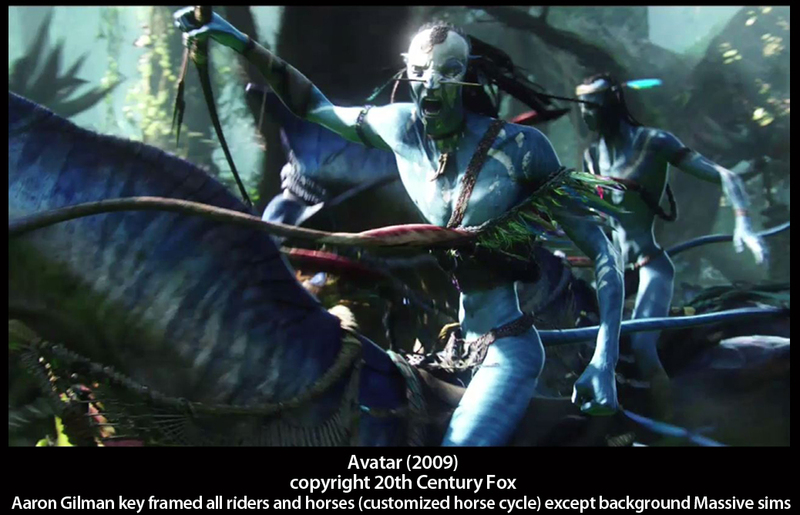 We've now seen Weta and ILM create fully CG worlds with projects like Rango, Tintin, and Avatar. From a creative and technical standpoint, this has allowed us to sink our teeth into amazing challenges. 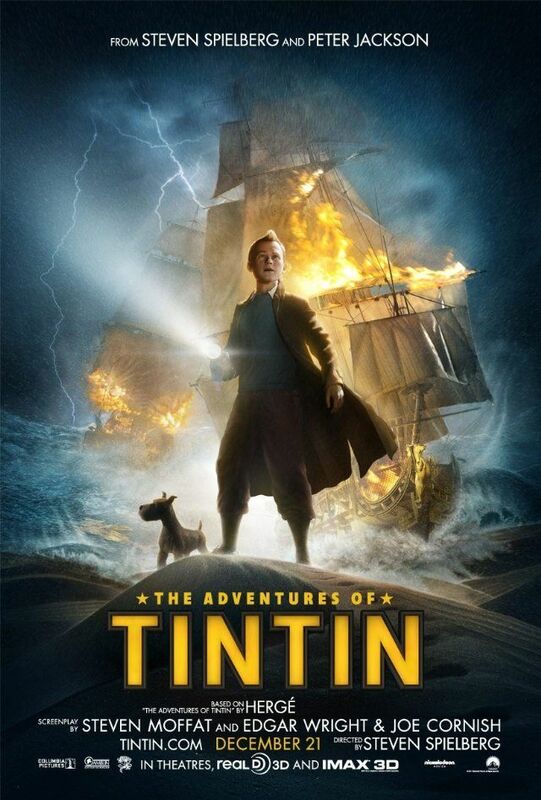 Most people don't realize that in Tintin, we created a 3 minute shot with no cuts! When working with a fully CG world, the director's imagination can run free, and every artist involved gets to be a part of bigger and more impressive shots. 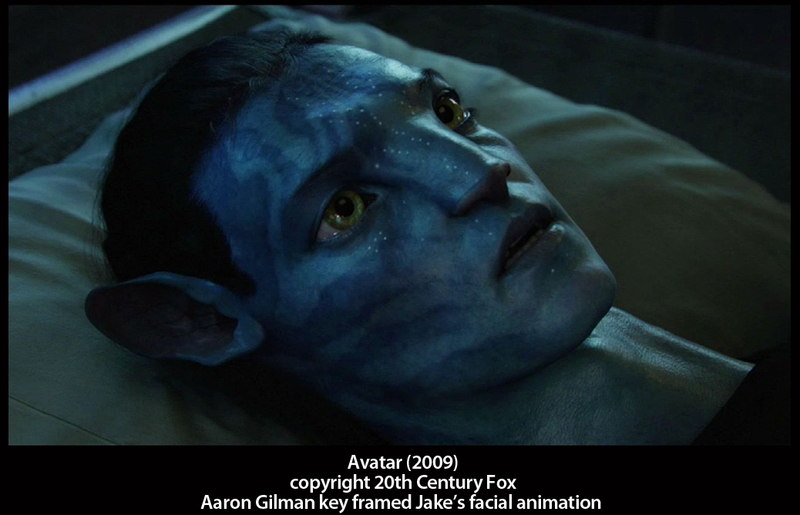 Weta has an incredible motion capture pipeline, ground breaking facial capture technology, onset virtual cinematography, a team of very skilled senior character animators, and a pipeline that can make anything look real. As we continue to get the opportunity to work on these kinds of projects, it means bigger shots, more advanced camera work, cooler creatures, and simply more opportunities to expand our vision of the impossible. 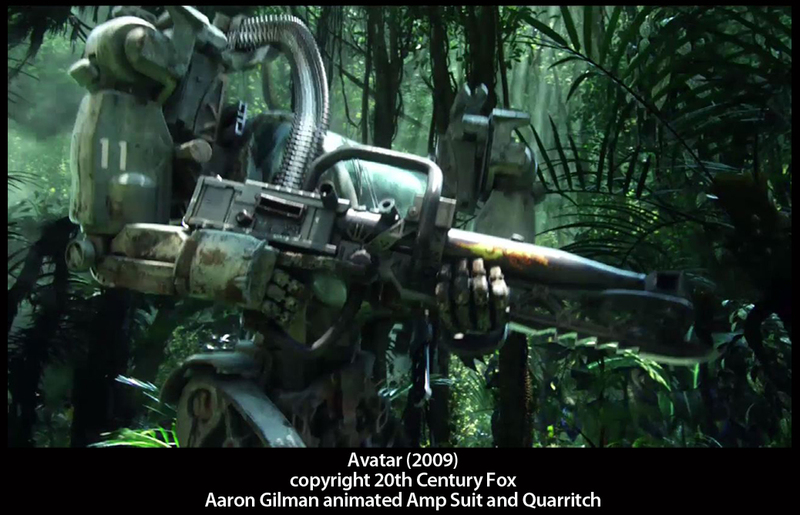 That's what excites me most about the future of the VFX industry. In many shots you've animated sequences where character's are either flying, gliding, swimming, galloping, etc. Do you always get into deep research and study of the mechanics of the creatures before you even consider acting choices? 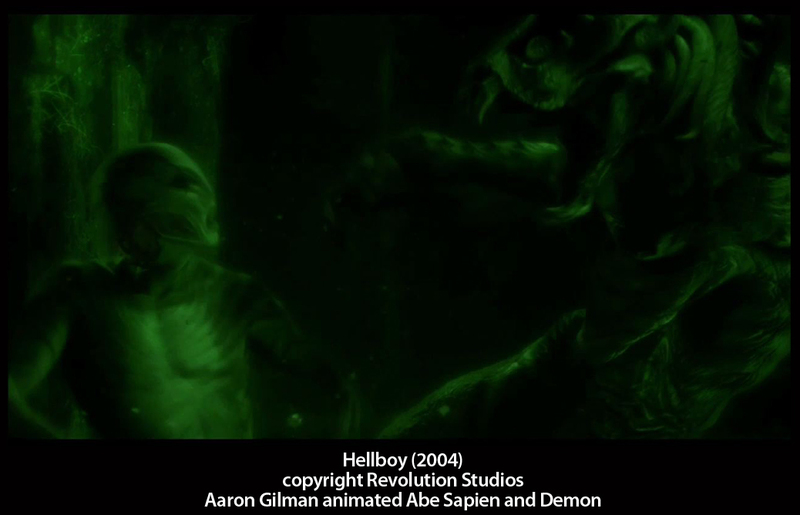 There is definitely a process of comprehending the mechanics of a creature prior to animating shots. This is where referencing becomes so important. Many studios will gather online references to build an in-house library of footage. 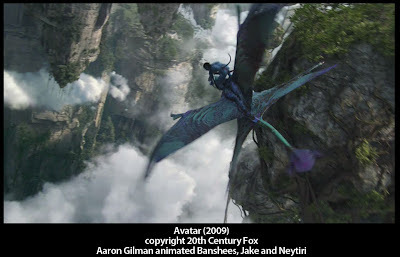 If a character needs to fly like an eagle or barrel-roll like a jet plane, then a studio and its artists will go out of their way to gather footage of those things for the animators to refer to. Most often, the critical acting choices an animator makes in a given shot are dictated by the narrative. For example, a creature needs to enter frame right, jump onto the log, and then roar. These are acting choices dictated by the script, the storyboard, the director, etc. With foundational reference material, and the acting requirements of the shot, the animator can get started. 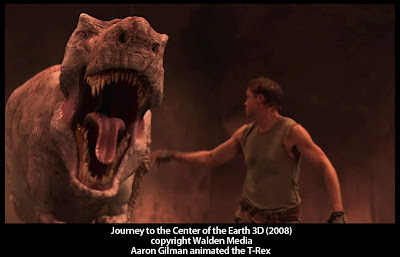 All of the extra animation nuances that go into the shot, for example, how the creature rears its head when it roars, or how it jumps up onto the log, is left to the animator's creative voice and the critique of his superiors. This questions a bit touch and go, but do you think Mocap data could ever be used as the foundation for more cartoony styles of animation? Motion capture is an incredibly powerful tool. But as a tool, it must be used for a specific type of job, and that is creating realistic motion. Using motion capture to create Tintin or Avatar was a very conscious creative choice. Motion capture data has a certain look to it that you will not achieve through key frame animation created from scratch by an animator. The quality of the data is extremely detailed, the movement highly precise and organic feeling. This is why motion capture data is so dense. It is important to understand that like any tool, it will not always be best suited for every job. For example, if Woody from the Toy Story series had been a motion captured character instead of key framed, the style of that particular character would come across as vastly different than the Woody we all know and love. The choice to use key frame animation on that particular project gave the flavor of the animation a distinct look. So too with How to Train Your Dragon, or many other Animated Features. When the director makes the choice to use key frame animation as the methodology to execute his vision, he engages in a very specific type of relationship with the animators to generate hand crafted motion with a certain style in mind. For example, Madagascar reminds us of classic Warner Bros animation, and the choice to do that was motivated and not accidental. 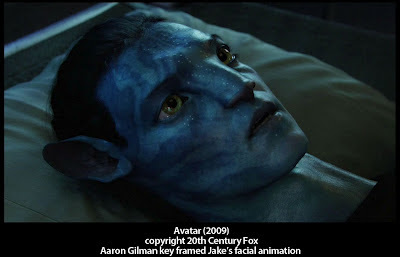 The same applies to Motion Capture, where the director is able to achieve a relationship with his performer and have that performance in the film. Certain projects would have had very different results if motion capture had not been used. Take Gollum for example. You can see Andy Serkis in every performance. Similarly with Captain Haddock, the essence of his acting persona comes through in the way the character performs. Rather than having 20 animators all working toward a common style of motion, through Mocap you can achieve an extremely clear realistic vision with a talented actor. I believe that between these two very different styles of creating motion lies a bit of a chasm. In other words, each methodology can be successfully blended with the other, where through great artistry and talent the animator can infuse motion capture data with great key framing and vice versa; but each style has a breaking point in this regard, where you can go too far and risk having neither style serve your purpose. On the one hand, creating realistic motion from scratch, without the use of motion capture, is an incredibly costly and time consuming effort that in the end, despite a talented animator, may never completely sell the viewer on the idea that the performance looks and feels completely real. While on the other hand, using motion capture means the performance of the actor is locked so deeply into the data, that trying to edit it to create a completely new performance can result in ruining the look of the original motion; and you may never achieve an acceptable new performance because, much like hammering a square peg into a round hole, you end up creating something that feels disjointed and broken, and it would have been better to start form scratch in the first place. So ultimately, I think motion capture is not an ideal tool for cartoony performances, unless the essence of the actor's motion gets you as close as possible to the intended result without pushing the data past its breaking point. When I say breaking point, I mean the animator has used everything at his creative and technical disposal to change the performance, but despite his efforts, the mocap data still looks disjointed and not believable. Most shots will have some creative combination of motion capture and key frame, but when the performance needs to be pushed to a realm too far beyond the fundamentals of the actor's movement, it is often better to key a new performance from scratch, or simply reshoot the actor on the stage. The more stylized the performer, the more motion capture can be an excellent tool. But if the character needs to squash and stretch, or bend and jump in unrealistic ways, then using motion capture will not be the best way to go. when you were starting out your career as an animator? If you could provide a few words to student animators today, what would they be? Sing through your blocking. Yes, I said sing! One of my supervisors would hum when he would review my work. It was his way of understanding the pacing of the performance. Some clients will consistently reject everything you show them. The best way I have learned to accept this reality was from taking the advice of another supervisor I worked with. He would say, "They were all good [animation versions], but none of them were right." The fact is that you will almost never hit a home run with your animation the first time you present it. Having your work heavily critiqued and even rejected outright, is not intended to damage your ego. But that's naturally how we want to react because we put so much time and emotion into it. Just remember to tell yourself that you are not a mind reader. You are a craftsman paid to execute someone else's vision. That takes time and numerous iterations. So smile, take a breath, and enthusiastically let your boss know you will create a new version for review tomorrow. Don't be a Bubble Boy! Some animators work in a vacuum. They don't interact with other animators, they don't share their work, they don't ask for critique, and they don't show their stuff very often. You can be a very talented Bubble Boy animator and make a great career for yourself. But I believe all animators are constantly growing and no one should ever plateau. The Bubble Boy tends to hit a ceiling with the quality of their work. They don't grow as fast as those animators who seek critique, whether it be from their peers, or regularly from their supervisors. Finally, what's next for you personally & professionally? I've just come off a very full year supervising animation at Weta on The Avengers and Sequence Supervising on Tintin. While I had supervised and directed animation at smaller studios in the past, this was really my first opportunity to work at the highest level of animation in a major studio, and I loved it! I am itching to get back to it. Until that opportunity comes again, I am happily working on The Hobbit now and enjoying getting back to animating shots 100% of the time. However, my ultimate goal is to one day direct animation on a major feature, and work directly with the client to help execute their vision. 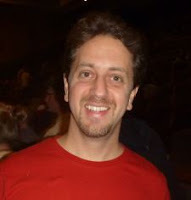 Aaron Gilman ... one of my best Animators. awesome interview, Aaron. Good to hear from you. cheers.